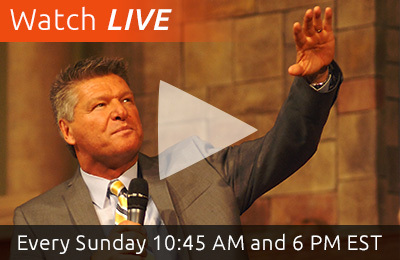 Tommy Bates Ministries A Contemporary Message with an Old-Time Anointing! In our reading, Jesus says that Satan’s only purpose is this: to kill you, steal from you and destroy you. But Jesus also says that He came to give you life, and more abundantly! That should be enough to make you want to shout! Jesus wants to give us more than just the end result of making it to Heaven. He wants to come to you on Monday morning, and in the middle of your darkness, difficulty and hard time, He wants to give you life! He gives us a well that is springing up inside of us, giving us everlasting life! In Luke 12:15, Jesus tells us to take heed because of covetousness. A man’s life does not exist in the abundance of things that he possesses. The flow of the world says that if you’re going to prosper, you have to have things. So, you involve yourself in things, and you buy lots of things. Striving for more success at work, wanting a bigger house, more clothes, nicer cars. But, if you don’t have Christ, more stuff will never satisfy you! A mansion still won’t fulfill your wants. A brand new sports car won’t fulfill you. Divorcing one spouse and marrying another won’t fulfill your wants! The flesh is never satisfied! If Christ does not satisfy you, the only other thing left to do is to conform to the world’s system. In John 6:35, Jesus says that He is the bread of life. He is as necessary to you as food is. You need Him in the morning, the afternoon, the evening. The person who goes to Him will be satisfied. John 14:6 says that Jesus is the way, the truth and the life. There is no one who can come to the Father unless he goes through Jesus. He is the door to everything you need in your life! If you seek first the Kingdom of God and His righteousness, all other things will be added to you. Galatians 2:20 says we are crucified with Christ, yet we still live. But it’s not us living anymore, it’s Christ living within us! 1 John 3:14 says we pass from death unto life, and we know because we love the family of God. John 1:4 says in Jesus was life, and the life Jesus had was the light of men. 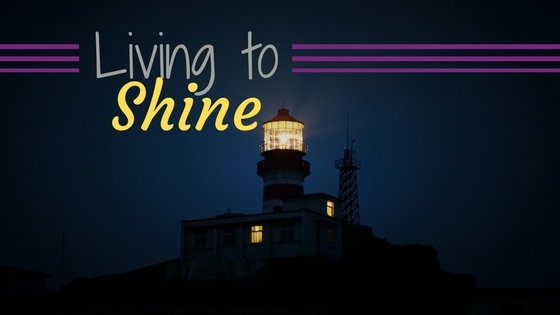 So, the light that we shine is actually the life of Christ in us! Jesus wants to come to us in our difficulty, and our desperation. He comes to the deadness of your situation and He brings life! He brings the life that makes the light you shine grow ever brighter by the day. This light guides people who are still in the darkness to the cross. The light is your testimony! Use it to bring the dead back to the living! We love y’all and we’re praying for you! We’re always saving you a seat at Community Family Church! © 2019 Tommy Bates Ministries. All Rights Reserved.